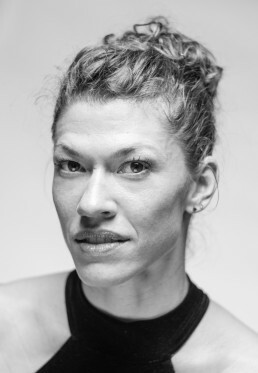 American born, Courtney Richardson is a Principal with the Semperoper Ballett and trained at The National Ballet School of Canada. Before joining the Semperoper Ballett she also performed with The Banff Center Canada (2002), The National Ballet of Canada (2000-2003), Ballet British Columbia Canada (2003-2006) and the Royal Ballet of Flanders (2006-2013). Her awards include the Peter Dwyer Scholarship in 1999, the Erik Bruhn Award in 2000, Dance Europe Critics’ Choice Award Bouquets and daggers Outstanding Female Dancer in 2008 and Dance Europe Critics’ Choice Award Outstanding Dancer of the year in 2010. Her repertoire includes Odette/Odille in Swan Lake (Aaron S. Watkin after M. Petipa & L. Ivanov), The Sugar Plum Fairy in The Nutcracker (Aaron S. Watkin/Jason Beechey after M. Petipa), Hamsatti in La Bayadere (Aaron S. Watkin after M. Petipa), Doña Dulcinea in Don Quixote (Aaron S. Watkins), Blue and Pink fairy in The Sleeping Beauty (Marcia Haydee), Lescaut’s Mistress in Manon (Kenneth MacMillan), Giselle in Giselle, The Grey Area, Opus. 11 and creating the role of Isolde in Trsitan+Isolde, The Third Light and A Sweet Spell of Oblivion (David Dawson), Principal roles in Serenade, Apollo, Theme and Variations, Allegro Brilliant and Divertimento #15 (George Balanchine), Artifact, Impressing the Czar, In The Middle Somewhat Elevated, New Sleep, Herman Scherman, New Suite and Quintett (William Forsythe), Monotones I (Fredrick Ashton), Company B (Paul Taylor), Orpheus (John Allyne), and Cinderella in Cinderella (Stijn Celis). Additionally, throughout her career she has been involved in numerous creations and Principal and Soloist roles in works by Alexei Ratmansky, Jiří Kylián, Wayne McGregor, Christopher Wheeldon, James Kudelka, Twyla Tharp, Mats Ek, Christian Spuck, Jacopo Godani, Alexander Ekman, Johan Inger, Nicolo Fonte, Pontus Lidberg, Mauro de Candia, Ashley Wright, Joseph Hernandez. Courtney has also appeared in several international ballet galas and performed In The Middle Somewhat Elevated as a guest at Teatro alla Scala, Milan in 2010.